The structure has been so universally compared to the disposable sacks used to carry a child’s lunch because of its waving brown brick facade, which certainly looks like crinkled paper—especially from a distance. To allow light into the 11-story bag—sorry, building—there are prominent, rectangular windows punched through the rippling facade. There are also large expanses of glass tucked behind the paper—sorry, brick. Taken altogether, the starchitect’s first completed project in Australia looks like a throwback to some of his early work with its heavy use of masonry. 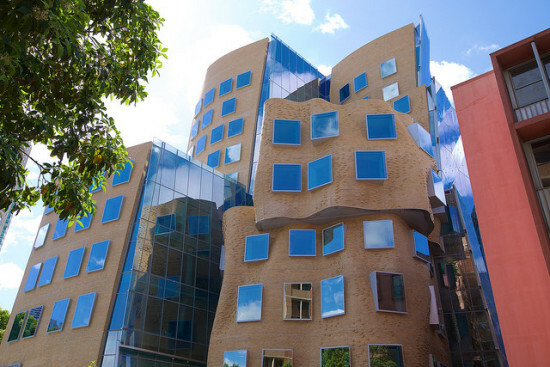 An interior staircase that is sheathed in a warped metallic skin is more in line with Gehry’s recent projects. Since Gehry said the design was inspired by a tree house, the paper bag comparison is not ideal. 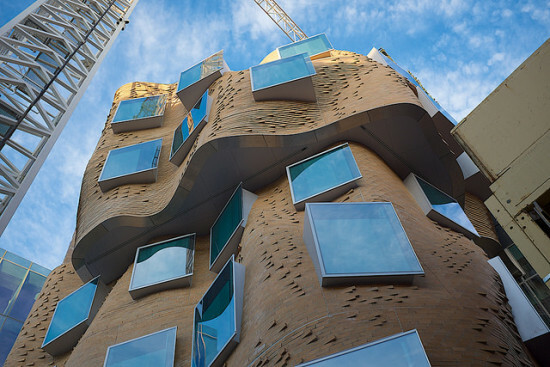 When he was was recently asked if he was happy with the final product, he reportedly replied: “Oh boy, I’m Jewish and I feel guilty about everything.” Hey, chin up, Gehry. 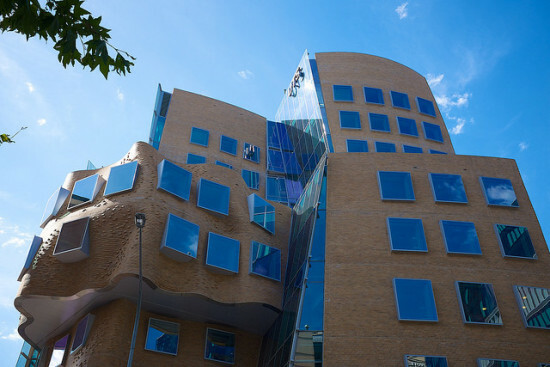 It’s not all bad news, Australia’s Governor-General Sir Peter Cosgrove said the building looked like “the most beautiful squashed brown paper bag” he had even seen. So, at the very least, it beat the competition. You can watch a timelapse video of the building’s construction below.